Welcome to Jerry Niman IT Services. We are an IT management consultancy to the Higher Education sector, specialising in interim management roles, project / programme management, policy formulation, business continuity, cloud strategy, privacy impact and risk assessment. Jerry, our lead consultant, has over 30 years experience of managing IT at a senior level, 20 of them for Higher Education. He understands IT, he understands people, he understands Higher Education organisations and he can speak in plain English. Corinne (Jerry's wife and business partner) often provides support on site visits and undertakes important background activities such as financial management, work planning, proof reading and general quality assurance. 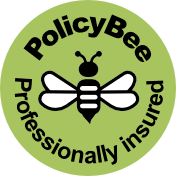 And yes, we do carry professional indemnity and public liability insurance.